As you can see, there are plenty of possibilities, and if you are just getting started it can be overwhelming. And what makes it even worse is that you’ll probably come across several different products and courses every day that promise to teach you how to make money online. While there are plenty of paths you can take that will provide you with the opportunity to make money online, some of them will take considerable time and patience before you will really start to see the results. If you are in a situation where you need to start making some money quickly you will need an approach that will make this possible. Freelance blogging is one a great option that many people overlook. While you may be able to make money with any number of other approaches, there is also a possibility that you will spend countless hours working on a website or blog that will never pay off. As a freelance blogger you will be paid for your work without needing to wait months for your site to possibly be successful. Almost 6 years ago when I quit my full-time job more than half of my income was from freelance blogging. I didn’t have any desire to do this for the long-term, but it did allow me to supplement the money I was making from my own sites while they were growing. The money I made from my own sites wasn’t enough to justify quitting my job just yet, but when I added some income from freelancing the result was a full-time income. I did a lot of freelancing for about six months after leaving my job until the income from my own sites picked up, and I’ve also done some freelancing over the past year since I sold the site that was my primary income. Although I have no desire to freelance forever, I do think it provides a great opportunity that too many people pass up. I’ve also hired a number of freelance bloggers over the years, and I know the benefits from a client’s perspective. Before we get into the reasons why you might want to consider freelance blogging, let’s first clear up some common myths. You might think that in order to be paid to write for other blogs that you would need to be a highly-skilled writer, but that is really not the case. You’ll need some knowledge on the subject at hand, but most blog editors won’t expect you to be an expert writer. Writing an effective blog post is a lot different than more formal types of writing. You’ll want to be sure to proofread your articles and make sure they are error-free, but you don’t need to be a wizard with the English language in order to make money as a freelance blogger. Having an existing audience certainly doesn’t hurt, but most blogs that are hiring writers will already have their own audience. The blog owners and blog editors are looking for writers who can create content that the blog’s audience will appreciate. They are not really looking for you to write the content and find the audience for that content. Over the past few years I have probably hired between 15 – 25 different writers/bloggers, and I have never once chosen not to hire someone because they were unknown. There are loads of companies and individuals out there who will write articles for ridiculously low rates. You might go on Fiverr and pay $5 for a 500-word article, or something similar. Most of these types of services are geared towards article marketing or other situations where low-quality articles are all that is needed. Several years ago when article marketing was much more effective than it is now I used to pay really low rates for articles that I would use to build links to my sites. However, I would never publish one of these articles at any of my own sites because the quality is simply not there. If you’ve avoided freelance blogging because you see crazy low rates being charged by others, don’t let that discourage you because this is really not comparable to what you would be offering. The truth is, rates for freelance blogging are all over the place. I’ve been paid anywhere from $10 – $500 for blog posts, with most being somewhere in the middle of that range. The rates will vary greatly from one blog to the next, and from one type of post to the next. It is certainly possible to make $50 per hour, $100 per hour, or even more as a freelance writer/blogger. There are a lot of opportunities that do involve low pay, but that doesn’t mean that better opportunities do not exist. With the number of blogs that are being launched every day, the need for freelance bloggers is only going to increase. Google’s emphasis on in-depth content certainly only helps the situation as many blogs and sites are looking to publish more and more content.There are a lot of opportunities already, and in many cases one job will lead to another opportunity that you didn’t even know about. Here is a look at some of the reasons why I think freelance blogging can be a great opportunity. Building a successful blog that pays your bills can take a lot of time, sometimes a few years, and sometimes it never happens. Most people need more income than they can make from their own sites right away, and freelance blogging can fill that gap. While your sites are still in the early stages of growth you can dedicate a portion of your working time to freelance blogging and make some money that will allow you to get by until your own projects are more profitable and stable. Possibly the best thing about freelance blogging is the flexibility. You can use it as a way to make some money in the short-term while you are also working on your own websites, and when you are ready to focus entirely on your own projects you can stop freelancing. Freelance also offers flexibility that allows you to work when it is convenient for you. If you have a full-time job you can write blog posts in the evenings or on weekends. You can accept assignments when you need/want to, and if you’re busy with your own projects you don’t need to pursue freelancing opportunities. Really, freelance blogging can be whatever you want it to be. Some people make a full-time income from it, and others write one or two posts per month for some extra money. The flexibility makes it an ideal short-term solution. One of the best things about writing for other blogs, whether you are being paid or just writing guest posts for free, is that you get to connect with some influential bloggers and editors. Networking is a critical aspect to success as a blogger, and establishing strong connections isn’t always easy. Busy bloggers and editors may not have time to respond to messages that they receive through social media or all inquiries through their site, but if they are paying you to write blog posts you will have their attention. 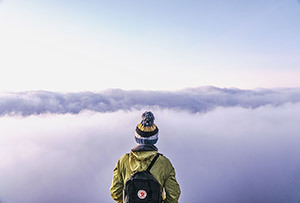 These connections that you make can pay off well into the future, even long after you are done with freelancing. Having your posts published at some of the most popular and successful blogs in your industry or niche is a great way to grow your name recognition. If you write for several different blogs you can easily become recognized as a leader or authority figure in your niche, which can open up all kinds of opportunities. And when you have established some name recognition it can even increase the demand for your services as a freelance blogger, and you may be able to charge more as a result. Once job writing for a popular blog will often lead to more jobs through the exposure that it provides. As a freelance blogger you are not limited to one particular niche or industry. Most likely you have different interests and hobbies that you could also cover as a freelance blogger. If you’re having trouble finding enough decent opportunities in your main area of focus, consider looking for some opportunities in other industries or niches as well. Covering a wider variety of topics can also help to give you more variety in your work. If you do not feel that you are a great writer now, working as a freelance blogger can help you to fine tune those skills. Not only that, but as a freelancer you will be getting paid while you improve skills that you can continue to use in the future. Do you have a blog of your own? It’s possible that your own blog will be more successful in the future because of the skills you develop while freelancing. I think freelance blogging is a great opportunity because you can take advantage of the flexibility that it offers. As I mentioned earlier, I’ve never wanted to make freelancing a long-term part of my business. I would much rather focus on my own websites and blogs than writing for others. But freelance blogging can actually be scaled in a way that doesn’t require you to do all, or in some cases any, of the writing yourself. Tom Ewer is one example of a freelance that scaled his business by outsourcing much of the writing (see Freelance to Passive: How I Scaled My Writing Business). Now, most freelancers will not pursue this path, but is always an option. By now you may be convinced that freelance blogging is a great opportunity, and if so you may be wondering how you can start to find some clients. Here are a few tips. If you’re just getting started there are several different sites that can help you to find writing opportunities. The ProBlogger Job Board is one the most popular places to finding opportunities. The quality of these opportunities and the pay will vary, but it’s a great place to start. Blogging Pro also offers a similar job board. Paid to Blog Jobs from Tom Ewer is another excellent resource, although it is not free. It is a membership site that lists freelancing opportunities, with an emphasis on quality gigs that pay well. It also provides guidance to show you how to effectively pitch your services. The cost is as little as $21.67 per month (if you sign up for one year), or $30 for a monthly plan. Nerdy Girl Writers is a service that connects writers with clients. You’ll need to apply to be accepted, but once you are accepted you can start receiving writing opportunities. Other sites worth a look include Freelance Writing Jobs and the Morning Coffee eNewsletter. In many cases the blogs that are paying writers are the more successful blogs. Make a list of the most popular or most successful blogs in your industry or niche and visit each one to look for information about writing for them. Sometimes you will see something like “write for us” in the sidebar or footer. Other times you may see a link in the main navigation menu. If not, check the “About” and/or “Contact” pages to see if they mention anything about writing opportunities or how to submit a post. Once you get started and find a few blogging opportunities others will usually start to flow. Although most of the blogs that pay writers will be the larger, more successful blogs, there may be some opportunities from smaller blogs as well. In general, these will often be lower paying than the bigger blogs, but they can still be worth your consideration. Although the pay may be less, the requirements may allow you to complete the work very quickly, and so it could still be a good use of your time. Also, if you are looking to build a writing portfolio it may be to your benefit to have posts published at a number of different blogs. Smaller opportunities typically won’t directly result in a lot of money, but they may be able to help you towards finding those other higher-paying opportunities. The best freelance blogging gigs will be the ones that provide on-going opportunities. It may involve writing a post per week, a post per month, or maybe just the opportunity to write whenever you are available. Finding paid blogging opportunities will often require more time than actually writing the post itself, so on-going arrangements can save you a lot of time and allow you to focus on the work that actually makes you money. Even if an opportunity isn’t presented as being on-going, follow up with the blog owner or editor after your first post to see about the possibility of continuing to work together. And now let’s take a look at some things you can do to be effective as a freelance blogger. The more writing you do, the more blog post ideas you will need. In some cases your clients may have specific blog posts and articles that they want you to write, but in many cases they will give you an overall topic and you will need to come up with the specific post ideas on your own. Keep a journal or a list of post ideas, and whenever you have an idea write it down. It could be a physical notebook or piece of paper, or you can keep it online or on your phone. That way whenever you need to write a post you’ll have a collection of ideas available. When you write a post you will also need to respond to comments left on the post. Blog owners and editors may also participate in the comments, but don’t expect them to respond to all of the comments on your posts. This will require some time on your part, so consider the time requirement when you are determining how much you need to charge for your services. Ultimately, you will be more successful as a freelancer if your posts receive more exposure. As the writer it is not really your responsibility (unless it has been specified in the agreement) to promote the posts, but any added exposure is only going to make your posts more successful, which can lead to more opportunities, better name recognition, and higher rates. It’s a good practice to promote your posts through your own social media profiles. You can post links through your profiles at sites like Twitter, Facebook, Google+, and Pinterest, and submit or vote for it at sites like Reddit. Take advantage of niche-specific social media sites that are a good fit with the target audience. You can also use services like JustRetweet and Viral Content Buzz to get some added exposure. Some freelance gigs will have more formal deadlines than others. Be sure that you always do everything in your power to meet deadlines and do everything that is expected of you. Proving yourself to be reliable is critical if you want to get and maintain on-going clients. In order to make freelance blogging an effective use of your time you will need to charge what your time is worth. Don’t charge low rates simply because you feel like you need to do it in order to get clients. Freelance blogging can be a great opportunity, but only if you are being paid what you are worth. If you are trying to compete based on price you are better off using your time for something else. It’s a good idea to have your own blog and to promote your writing services from that blog. If you are doing a lot of writing for other blogs you may not have a lot of time to dedicate to your own blog, but at least put up the site and whenever possible use your author bios to link back to your site where people can learn more about the services that you offer. Every blog post that you publish can become a marketing tool for your writing services. Some bloggers and editors will place a job listing at ProBlogger or somewhere else when they need a freelance blogger. 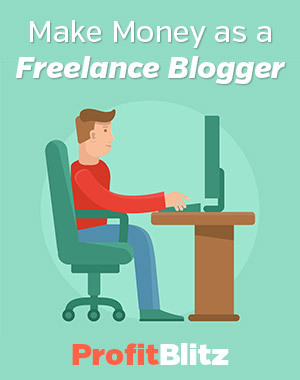 Others will do some research and try to hand pick the right freelancer for their blog. You never know who will be reading your posts and what opportunities may open up if they are impressed with your post. In this way each post that you publish is essentially an audition that can lead to other things. Take each post seriously and do your best work so that it will always represent you well. If you do a decent amount of freelance blogging you’ll quickly have a collection of posts published at various blogs. As you are writing new posts consider linking to your other posts when it is appropriate. This can result in more exposure for your posts and more traffic for your clients. You don’t want to go overboard and add tons of links to your own posts, but do it in moderation and include links that are genuinely helpful for readers. Some blogs hire freelance editors in addition to writers. As an editor you may be responsible for writing some of the content yourself, but your major responsibilities will include working with other freelance writers and managing the on-going content of the blog. Opportunities for editors are not as common, but they can be a good option for on-going work and good pay. If you have on-going gigs with certain blogs you may want to check with them to see if they would be interested in hiring you to serve as an editor and manage the blog’s content. If you have ever done any freelance blogging please feel free to share your experience in the comments.